A new research study in the Journal of Shoulder and Elbow surgery by Ringenberg et al. questions the reliability of grading AC joint separations. In patients with AC joint separations the treatment plan relies heavily on the severity of the injury. Decisions about whether the patient should have surgery or non-operative treatment relies heavily on the Rockwood grading system. The Rockwood classification was first introduced in the 1980’s has been the gold standard in AC joint separation grading ever since. Grade 1 and grade 2 injuries show little if any abnormal displacement of the joint and are treated non-surgically. However, higher grade injuries show significant displacement and the decision for surgery is often based on whether the displacement is moderate (Grade 3) or severe (Grade 4,5, or 6). Therefore, it is critical that these injuries are classified accurately. Yet this study as well as the study by Cho in 2014 questions the reliability of the ability of highly skilled clinicians to make accurate and consistent determinations. 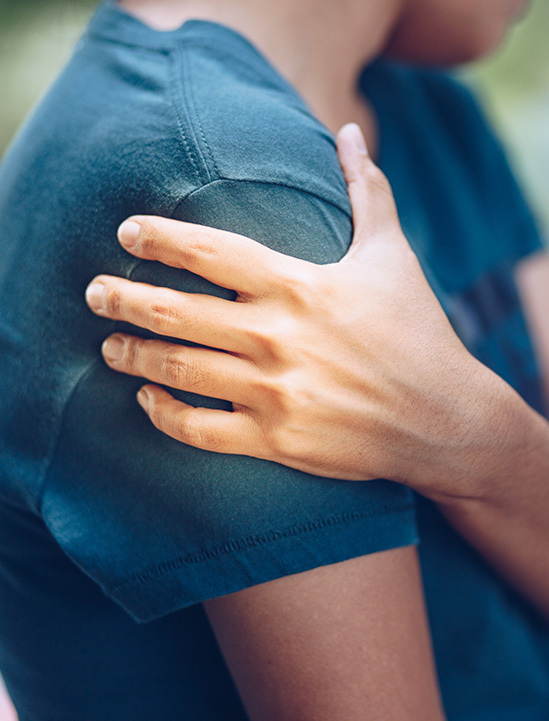 In Ringenberg’s study 6 fellowship trained shoulder surgeons were asked to evaluate the x-rays on 50 patients with an acute AC joint separation. In only four of the 50 cases did all six surgeons agree unanimously on the grade of the injury. In addition, two of the surgeons were asked to review the x-rays a second time several months later to determine whether each surgeon would confirm his own previous grade. Surprisingly the first surgeon only classified 18 of the 50 cases the same way as he had the first time and the second surgeon reconfirmed 38 of the 50 cases. Given these results the authors concluded that the Rockwood classification had “limited reliability” and that this problem may lead to disagreement among physcians in determining future treatment and may account for inconsistent outcomes among patients. They suggested a better classification is needed to guide treatment. Patients who have AC joint injuries should be advised that the grading of their injury is critical to the decision making process. It is mandatory that the patient has an x-ray taken of the normal side in order to measure the side to side difference. In addition, since most x-ray facilities use digital imaging, it is also mandatory that the side-to-side measurements be done with digital measuring which all digital systems allow. Only then can the grade be determined with the best accuracy. In cases where severe posterior displacement is suspected a CT scan with 3D reconstruction is essential to visualize the degree of posterior displacement. The decision about whether or not to have AC joint separation surgery requires an accurate and reliable diagnosis. 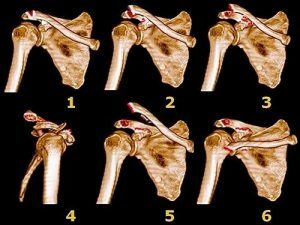 We have been using the above digital imaging process for years in order to accurately diagnose our patient’s grade of their AC joint separation. The imaging assessments need to be complete and appropriate in order for the patient to get the best possible recommendation.